Can My Baby Sleep With Air Conditioning? In summer, air conditioning is an often necessary alternative to withstand high temperatures, whether in homes, commercial establishments or other spaces. But is the use of air conditioning right in the presence of babies and small children? The answer is affirmative but under a series of conditions that do not harm the health of the little ones. In the following lines, we will expand the information on this topic, placing particular emphasis on the correct use of air conditioning during summer nights. Experts say that with the presence of babies it is advisable to put the air conditioning at a temperature not too low: around 25 degrees Celsius. Also, we must try to control the humidity and follow a series of guidelines, such as avoiding sudden changes in temperature or that the air stream goes directly to the child. In the presence of very young children, it is necessary to control the humidity and temperature of the room where the air conditioning is operating. The less power consumption air conditioner is an excellent ally to cope with the extreme temperatures of the days and summer nights. In fact, in many cases, it is essential to perform household chores or to fall asleep during hot nights. In this sense, what to do so that our baby is not affected by air conditioning? First of all, we need to point out that a baby can stay entirely in a room where there is this type of hair. In fact, it will be much more comfortable, enjoying that way of a relaxed and pleasant environment and avoiding the dreaded heat strokes. You just have to control that the temperature and humidity are ideal for an environment too cold and dry can affect the respiratory tract of the baby. Therefore, a temperature around 25 degrees will be ideal for the heat does not adversely affect adults, and there is no risk of cooling in young children. As in too dry environments, excess moisture must also be avoided, since it favors the growth of mites and fungi, thus increasing the risk of diseases caused by them. 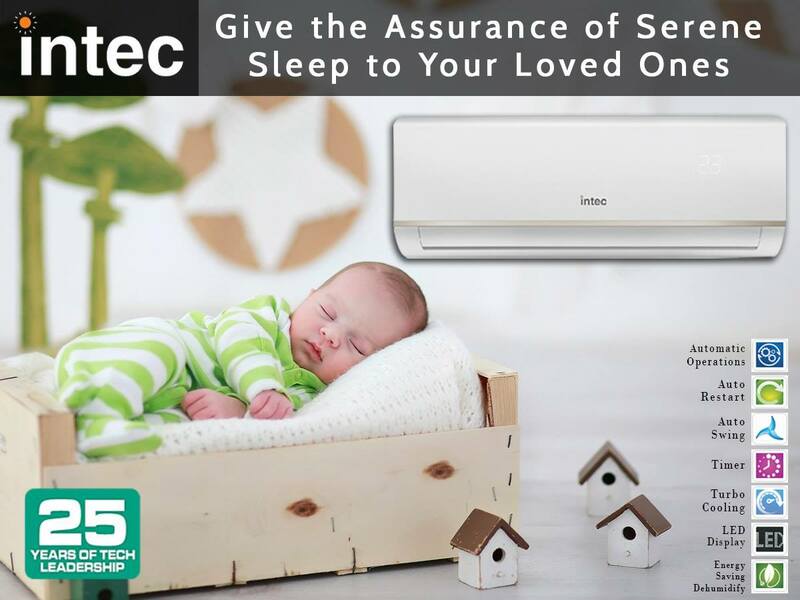 The equipment of Intec air conditioner allows to take an exhaustive control of the temperature and the humidity during the 24 hours of the day, the reason why they are an ideal alternative to achieve the suitable climate in spaces with the presence of babies. Remember that humidity in a home must range between 30 and 50%. Besides, we must try to ventilate all the rooms regularly. Also, it is preferable to have air conditioning throughout the house and not only in certain rooms. In this way, we avoid too sudden changes in temperature, which can negatively affect the smallest. These changes can weaken the immune system of minors, which increases the risk of contracting diseases. 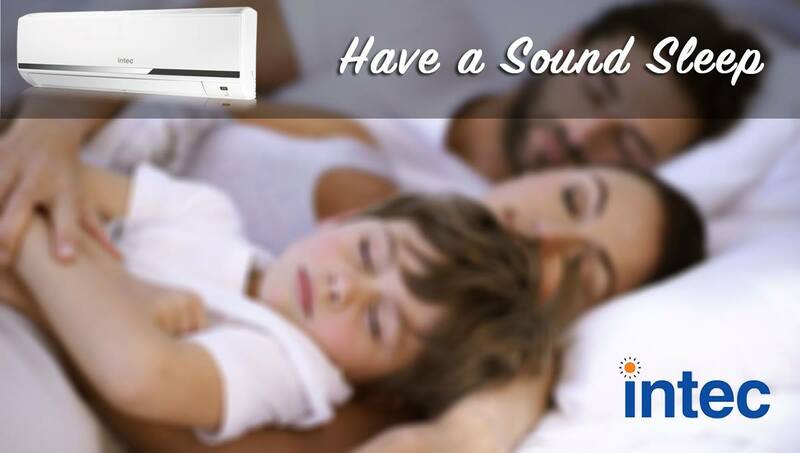 Air conditioning for homes is enormously beneficial at any time of year if it is used consistently. Achieving adequate air conditioning in each room of the house dramatically improves the quality of life of children and adults, especially with the use of state-of-the-art equipment, which can be easily programmed to obtain a most pleasant environment. 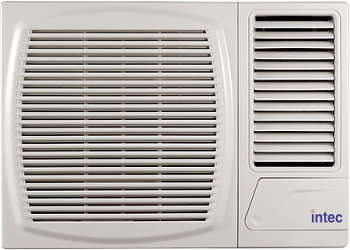 Previous Article What is The Best Manufacturer of Air Conditioners?